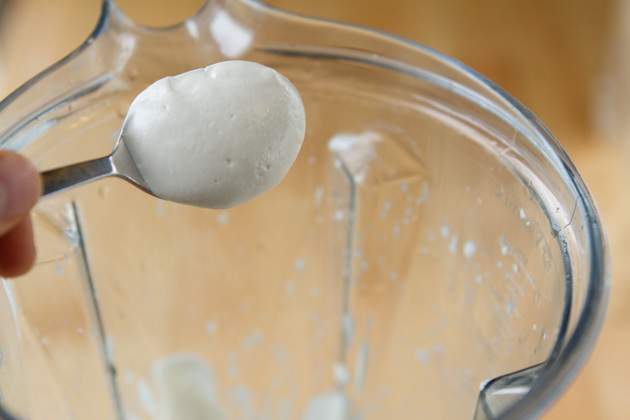 A dairy-free cream cheese recipe that’s great on your ketogenic diet if you’re dairy-free and wanting the dairy feel. Serve with your favorite low-carb vegetables, boost your fat intake on your ketogenic diet, or smother overtop homemade ketogenic crackers. We’re making cream cheese! And, it’s fabulous if you’re doing keto without the dairy. Eating keto doesn’t have to be difficult. Need to be shown HOW to do it? Check out my updated & expanded bestselling program, The Keto Bundle. It’s a 60-day how-to guide on how to fuel with fat, heal your body, and adapt a low-carb, high-fat keto lifestyle with ease. First, you have to decide what approach you’re taking with your cream cheese. 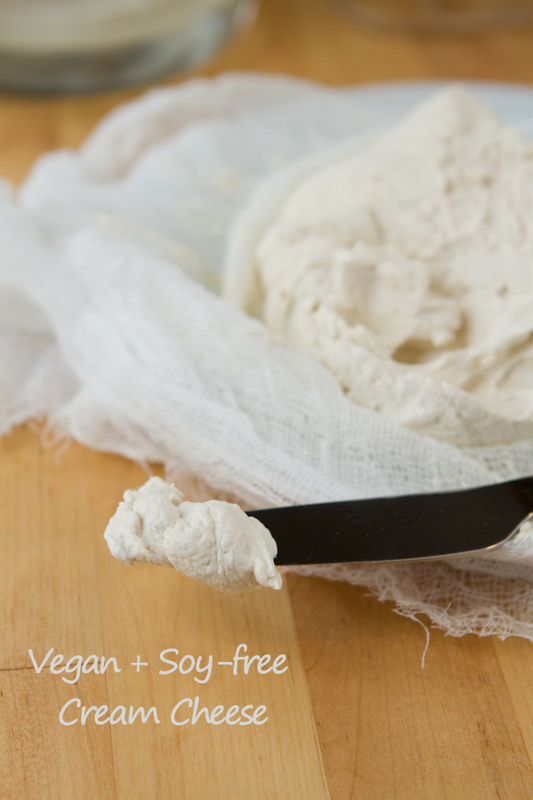 If you want authentic, cultured vegan cheese then you’ll want to use a yogurt starter to create the culture. 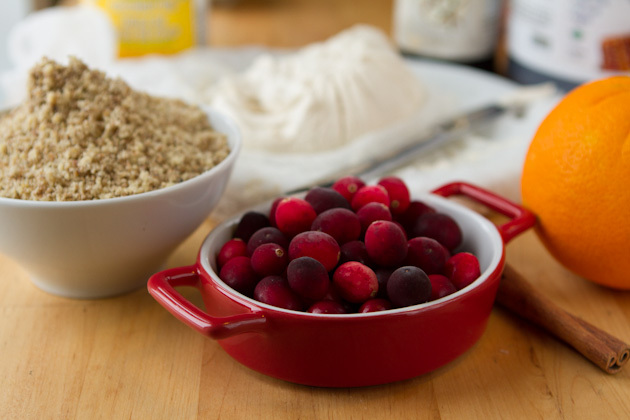 I use this Vegan and Gluten-free Yolife Yogurt Starter. If you want semi-authentic, vegan cheese that hasn’t been cultured but has a tad less steps, then you can use raw apple cider vinegar and fresh lemon juice. For the purpose of today’s post, we’re going to go with the easier method and save the culture fun for another day. 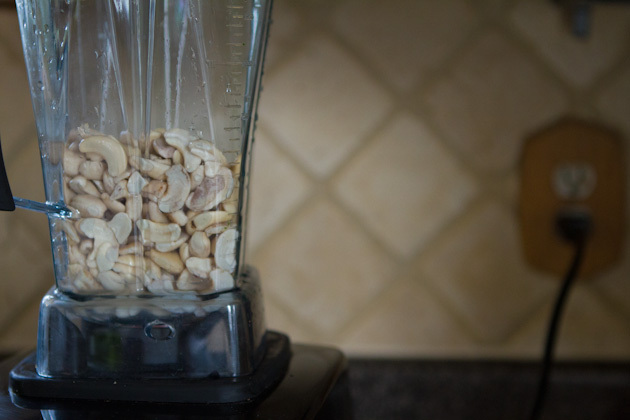 You’ll want to soak the cashews for 24 hours. I like using cashew halves because they’re less expensive and they soak up more water making the mixture creamier. Once the cashews have soaked, drain and rinse them really well. Add the soaked cashews to a blender with 2 tablespoons of raw apple cider vinegar, 2 tablespoons of fresh lemon juice and 2 tablespoons water. 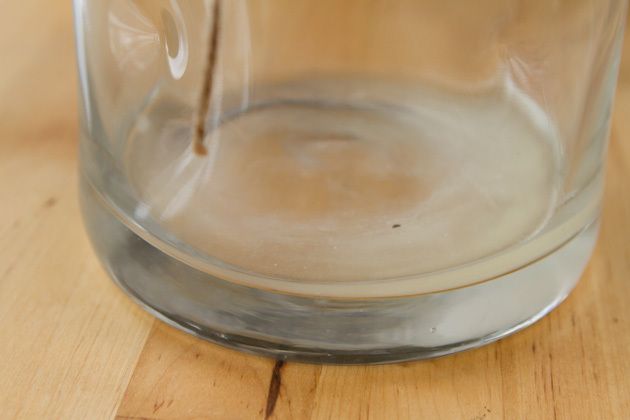 If while you’re blending you need a bit more liquid, add up to another tablespoon of water. Then, set the smooth cheese aside for awhile. The longer you leave it to sit the more the flavors will develop. I leave mine for a couple of hours. 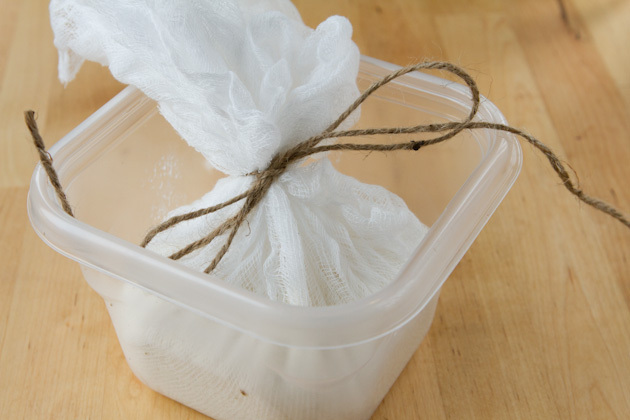 Then, line a plastic container with cheesecloth. You’re not going to keep the stuff in plastic, so just choose any container you have handy. Another decision is required of you here – do you want thick cheese or velvety cheese? 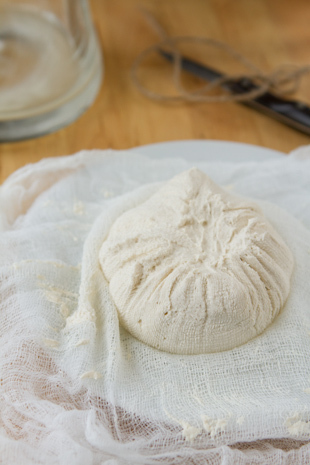 If you want dense cream cheese that’s more similar to the “real thing”, do NOT double up on the cheesecloth. Go 1-ply. 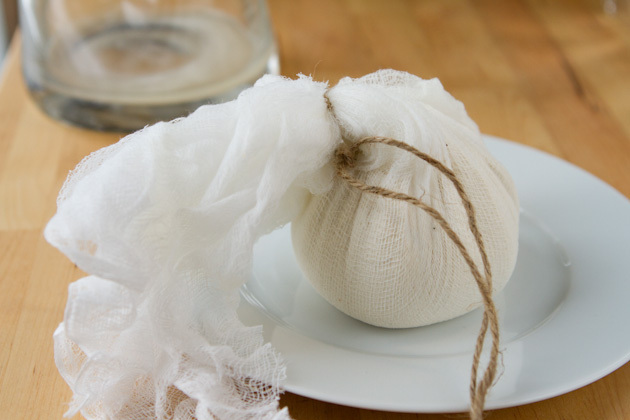 If you want velvety cream cheese, double up on the cheesecloth. Go 2-ply. Once all of the mixture is in the cloth, pinch up the sides and tie it with some twine. Now this is where you have to get a bit MacGyver all up in your kitchen. You need to suspend the cheesecloth bag. I like to tie it to my turmeric stained spoon and suspend it in a glass jug. Use whatever you have on hand. Get creative. Once it’s all suspending you’ll need to place it somewhere warm and nice for 24 hours. I place mine on a little shelf right next to the heating register in our kitchen. The taste will be very vinegary at first. It has to sit for 24 hours to chill out before you judge the taste. Once 24 hours have passed, you should have a bunch of liquid at the bottom of the jug. Yay! 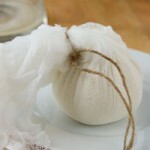 Remove the cheesecloth bag from it’s resting place and cut away the twine. You should be left with a glorious hunka beautiful vegan cream cheese that you can use on everything you would dairy cream cheese. 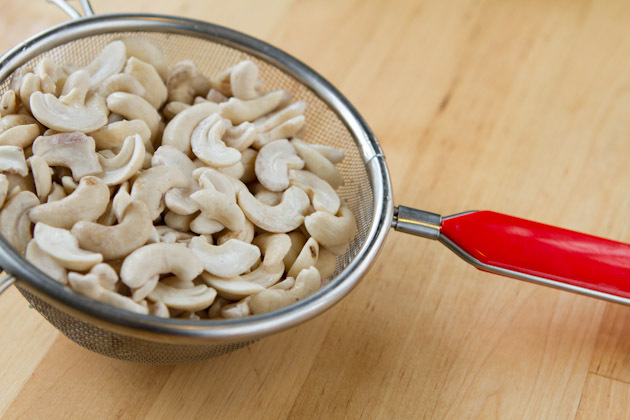 Place raw cashew halves in a glass dish and fill with filtered water. Cover and place in the fridge to soak for 24 hours. Blend for 2 minutes or so, until it's as smooth as smooth can be. Set aside for a couple of hours. Leave in a warm place for at least 24 hours. 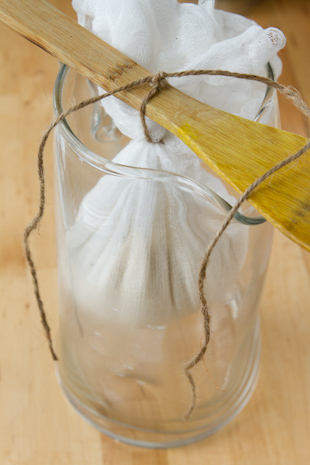 Then, remove from the hanging setup you've created, remove cheesecloth and serve as is or add flavors such as herbs, vanilla or a touch of sugar. And later we make something yummy (and vegan) with it. 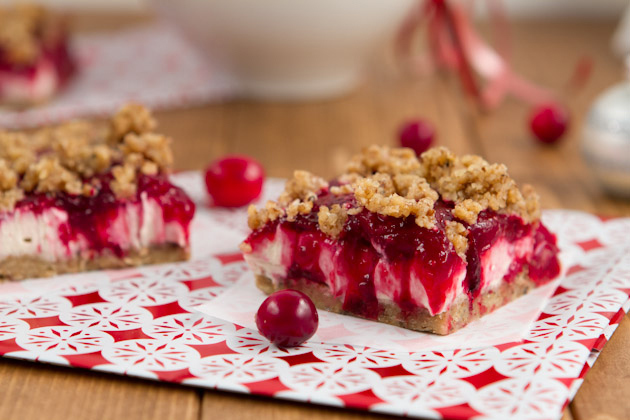 Get the recipe for my No bake Vegan Cranberry Cheesecake Squares… using this delicious dairy-free cream cheese!